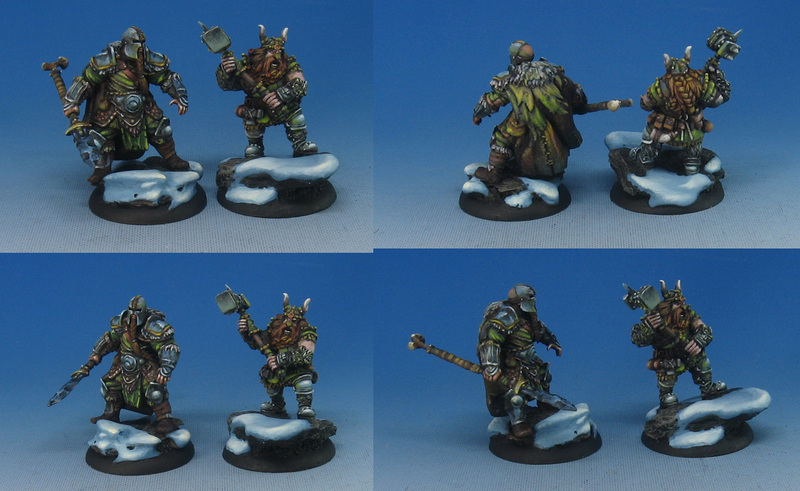 We continue with the "Army of many companies", a warband consisting of figures from Mantic, Reaper and Privateer Press. I have painted a few of these several times over the years! 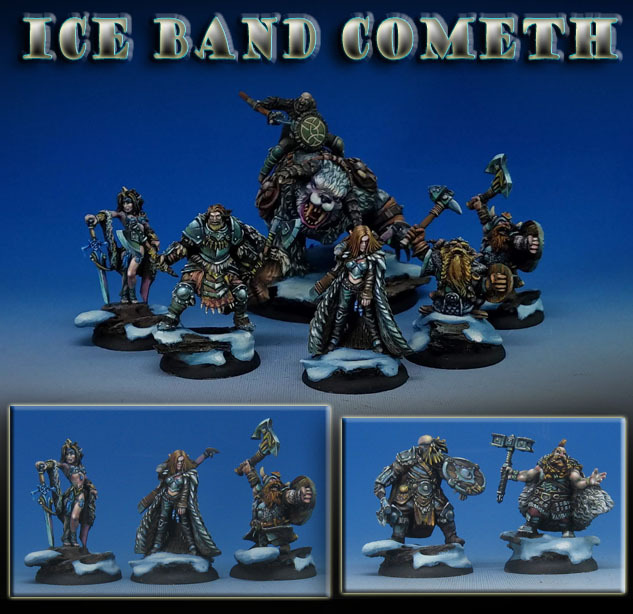 The Ice Queen is a figure that I used to film the "Painting the Blues Away" color theory episode. Here's some of the new, which I believe are from Mantic. 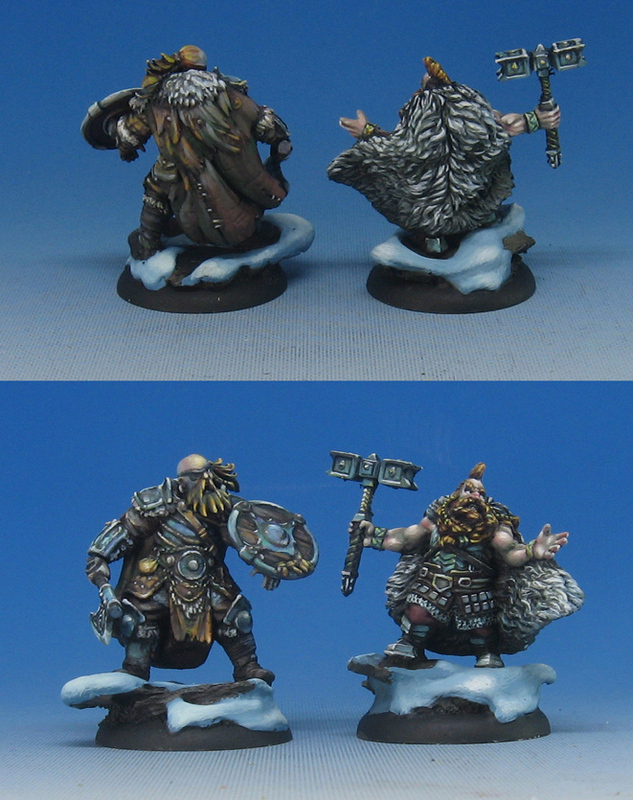 The head was replaced on the left figure by a Games Workshop head. The new and the old side by side... Mantic and Reaper. 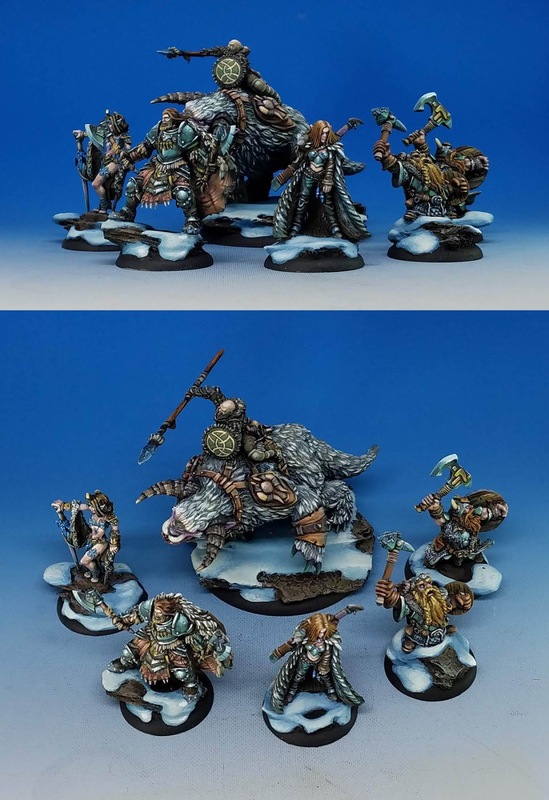 More of the warband, including a large critter from Mantic. 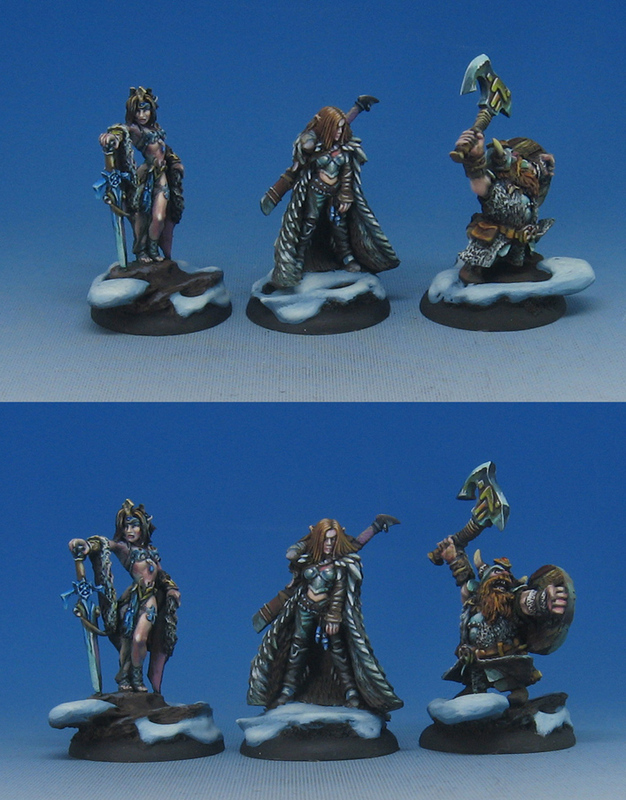 Creating a warband such as this out of many figures from different manufacturers can pose a real challenge, due to the wide variations in sculpting styles, etc. Finding those 'commonalities' is even more difficult when the age of the sculpts varies so much! These must span 15+ years. 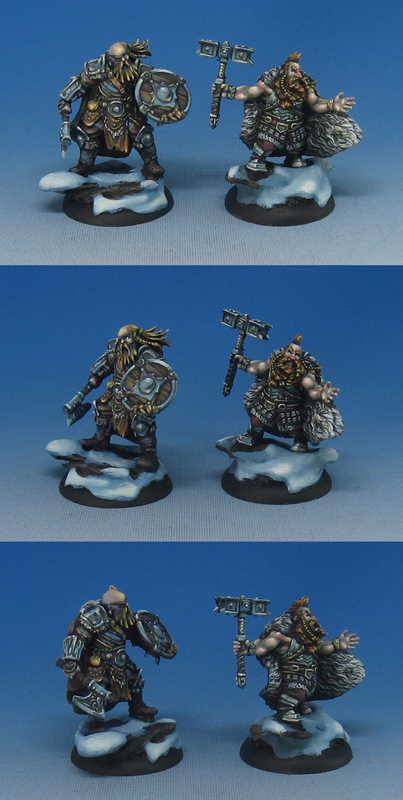 It was less of a challenge for me, since I have been cranking out the "Army Painter" video series! Each of those units requires a different approach, and along the way I have learned a LOT. I try to find new approaches in each series that I do, and Series 7 is already in production! These are usually 5 episodes long, and have roughly 11-12 hours of tutorials in them. 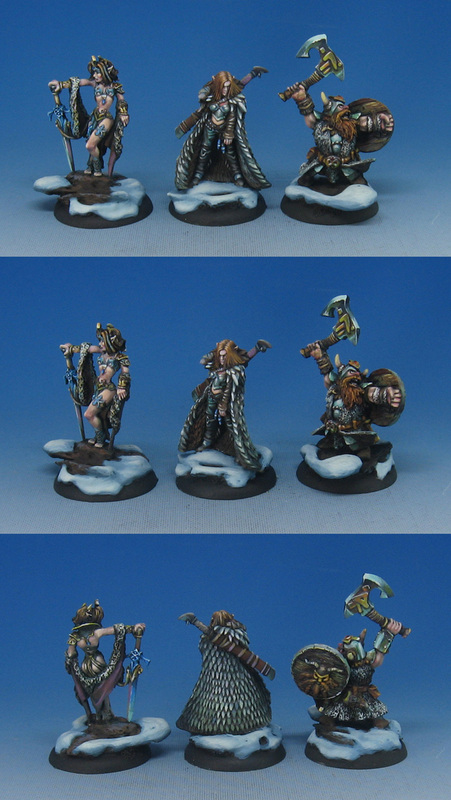 I show the entire unit from start to finish... from basing to final details.